The Auction House was a bad idea, but trading was not. 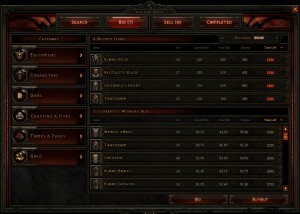 If Diablo 3 had used a more “grass roots” trading system, like D2 did, I think the game would have been better for it. Unfortunately, the devs decided to kill ALL TRADING because of the Auction House’s failing. As someone who lived through the full spectrum of botting and duping in Diablo 2, I find that idea ridiculous. Even if trading was bad for the game (it’s not), it wouldn’t get rid of botting. There’s no practical way to remove botting from an ARPG. The genre’s randomised design directly rewards time spent over anything else, which encourages botting, and the simple gameplay makes creating bots easy. There is no amount of skill that can overcome the Random Number Generator, only time. Look at any other game in the genre and you will see rampant botting, duping, hacking, etc. Borderlands, Path of Exile, Dungeon Siege, Titan Quest, you name it. Diablo was not, and never will be, an exception. People are always going to bot in ARPGs, but that’s not to say you shouldn’t play them. They’re great fun! They just aren’t great for taking seriously. ARPGs have a simple, exploitable design because they are fun and casual at their core. The devs know that, and for 90% of the people who play them, botting is a total non issue. Most ARPG players don’t even know about botting or hacking. They’re just logging on for a couple hours here and there to kill a few monsters. For some historical context, let’s look at Diablo 2. You basically had to bot and maphack in that game, because everyone did. You might think that was a bad thing, but Diablo 2 was actually better off because of hacking, and a large part of that was owed to the game’s trading system keeping things in check. I played Diablo 2 for over 10 years, trading and dueling and eventually botting and maphacking, and having a blast with all of it. I had full “perm” original copies of bugged items that I could have sold for hundreds of dollars if I ever wanted to cash out, but I valued their rarity and significance more than the money. There was a sense of pride, or even clout, that came with being the owner of certain items. Diablo 2’s itemization was amazing, but the drop rates on many items were abysmally low. Botting fixed this and created a thriving economy for trading, making better items more accessible to the masses. Duped runes and unique rings became an in-game currency. The market ebbed and flowed, rising and falling with all of the intricacies of a digital stock exchange for gamers. And this all happened without ever having been planned for by the developers. It was organic, it was wild, and it was amazing to be a part of. And before you can say, “over-saturated market”, there were things that kept that in check, too. Everyone could get a Vampire Gaze, but if you wanted a 1.08 Vampire Gaze in a post-1.08 patch where it could no longer drop, you needed to trade multiples of your most valuable items and runes for it. This created super-rare items that drove the economy and gave players who retained said items an almost iconic status. Did you hear XX_ZonBewbz69_XX traded away his 1.08 Arkaine’s Valor? I heard he got 200 SoJs for it! Trading created a way for more dedicated players to rise above the crowd. The best traders became the most wealthy and had the best gear. The added depth was welcome by those who wanted to take the game more seriously, considering the relatively unskillful and casual nature of ARPGs. All of this created interest for the game where there otherwise wouldn’t have been any. It gave players a way to define themselves and feel connected to a community. You can’t look back on Diablo 2 and how great it was without acknowledging the role of duping, botting, and trading. Now, as a thought experiment, let’s say that Diablo 2 never allowed players to trade items. What would have happened then? I don’t think D2 would have survived long if it never had trading, and I don’t think D2 would have had the amazing trading economy that it had without botting. So that brings us back to the present, and back to Diablo 3, where there is still no trading. What’s the point of having those great items if they only hold value in a single account’s bubble? You can’t trade your powerful item to someone else, you can’t get more powerful items for yourself by amassing currency. Nothing you do has any value in a larger sense, because everything that every player finds is only theirs and can never have an affect on the rest of the community in any way. 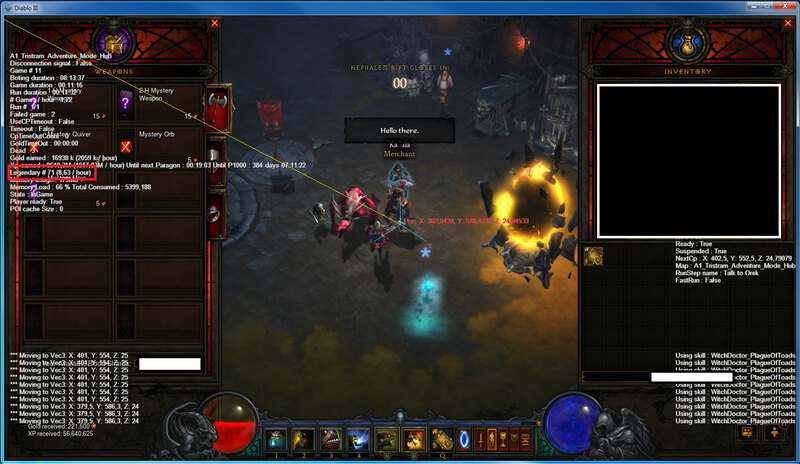 The popular Diablo 3 bot, “RoS Bot”. 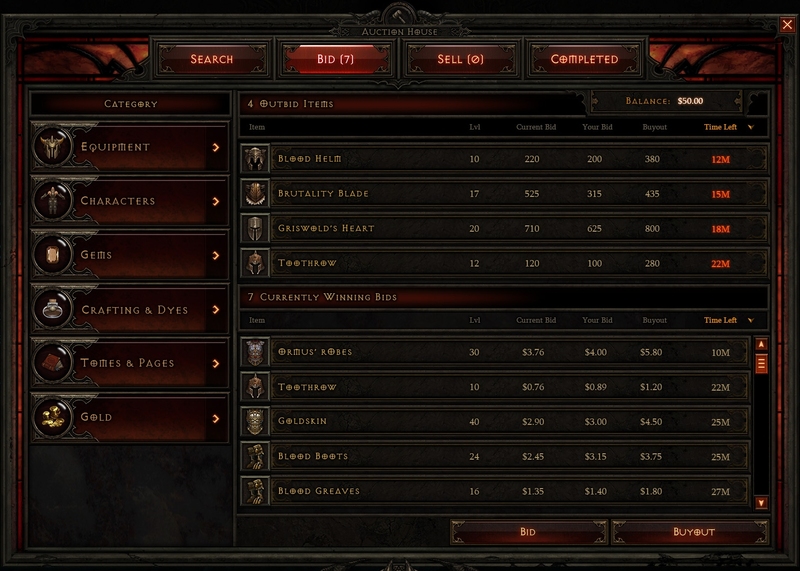 And even with no trading, players are still botting in Diablo 3. Because even though they don’t gain anything from it in a larger sense, it’s still the most efficient way to improve their character and get the best loot. Personally, I’ve never botted in Diablo 3 because I don’t really see the point, but I’m not surprised that lots of people still do and I don’t expect Blizzard to do much about it. Not because they’re unwilling or because it’s not possible, but because it’s logistically and financially impractical. That’s the reality. On top of this, in removing trading, they removed the one in-game element that had any hope of keeping botting in check. With all of this in mind, it astonishes me that anyone who plays Diablo 3 would take it seriously. I love Diablo, and honestly I really like Diablo 3 at this point in its life… but I don’t take it seriously. Recently, a few popular players in the Diablo 3 community wrote and signed an open letter to Blizzard in a plea for them to “do something about the botters”. Well, I hate to break it to you all, but this was the only direction for the game to go in from the beginning. There is no real competition. There is no point in trying to “be good” at this game. There will always be botting, and without trading to provide depth to the game and regulate the inevitable botting and hacking, the game will always end up in a stale place. So play Diablo 3 for fun, create a new character each season. But stop wasting your time trying to take a casual game seriously. 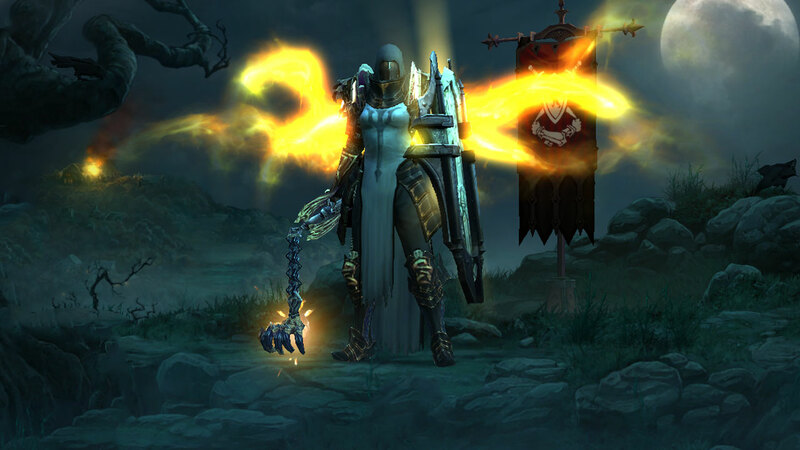 Accept Diablo 3 for what it is: a fun game that’s great to play off-and-on with your friends.